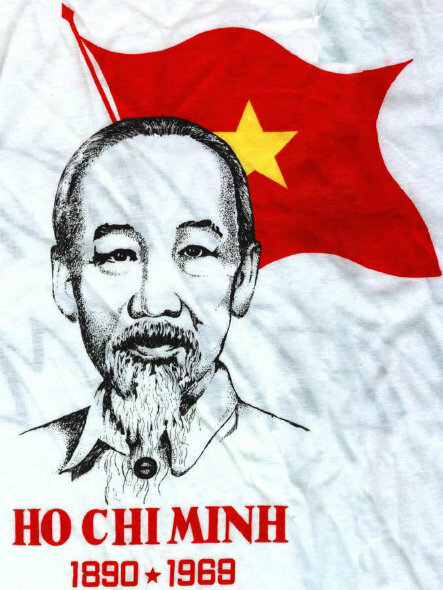 (* Ho Chi Minh refers in these letters to a number of Chinese communists, by names translated from Chinese to Vietnamese, and the editors have been unable to establish their identity. The names are left in the French-Vietnamese translation). In the past, in my eyes and those of a good number of comrades, Trotskyism seemed a matter of a struggle between tendencies within the Chinese Communist Party. That’s why we hardly paid it any attention. But a little before the outbreak of war, more exactly since the end of the year 1936 and notably during the war, the criminal propaganda of the Trotskyists opened our eyes. Since then, we have set ourselves to study the problem. 1. The problem of Trotskyism is not a struggle between tendencies within the Chinese Communist Party, for between communists and Trotskyists there is no link, absolutely not one link: It is a question that concerns the entire people: the struggle against the Fatherland. 2. The Japanese fascists and foreigners now it. That’s why they seek to create divisions to deceive public opinion and damage the reputation of the Communists, making people believe that Communists and Trotskyists are in the same camp. 3. The Chinese Trotskyists (like the Trotskyists of other countries) do not represent a political group, much less a political party. They are nothing but a band of evil-doers, the running dogs of Japanese fascism (and of international fascism). 4. In all countries, the Trotskyists give themselves fine names in order to mask their dirty work and banditry. For example: in Spain they call themselves the United Marxist Workers Party (POUM). Do you know that it’s they who constitute the nests of spies in Madrid in Barcelona and in other places in the service of Franco? It is they who are organising the infamous ‘fifth column’, the espionage body of the army of the Italian and German fascists. In Japan, they call themselves the Marx-Engels-Lenin League (MEL). The Japanese Trotskyists lure youth into their league, then they denounce them to the police. They seek to penetrate the Japanese Communist Party with the aim of destroying it from within. To my mind, the French Trotskyists now organised around the Proletarian Revolution Group have settled on the aim of sabotaging the Popular Front. On this subject, I think you are surely better informed than I. Here in China, the Trotskyists are regrouping around formations such as The Struggle Against the Japanese, Culture and Red Flag. 5. The Trotskyists are not only the enemies of Communism, they are also the enemies of democracy and of progress. They are the most infamous traitors and spies. Perhaps you have read the charges in the proceedings against the Trotskyists in the Soviet Union? If you have not read them, I advise you to read them and to get your friends to read them. This reading is very useful. It will help you to see the true repugnant face of Trotskyism and Trotskyists. Here, I have taken the liberty of extracting some passages directly concerning China. Before the tribunal, the Trotskyist Rakovsky has sworn that, in 1930, when he was in Tokyo (as representative of the Soviet Red Cross) a person highly placed in the Japanese government said to him: “We are now expecting a change of strategy from the Trotskyists. I won’t enter into the details. I only want to tell you that we expect from the Trotskyists actions which favour our intervention in the affairs of China”. Replying to the Japanese, Rakovsky said: “I will write to Trotsky on this subject”. In December 1935, Trotsky sent his followers in China instructions in which he underlined several times this phrase: “Do not create obstacles to the Japanese invasion of China”. Thus, the Russian Trotskyists wished to sell to the Japanese part of their Fatherland – Siberia and the Maritime Provinces – they now wish to sell to the latter our Fatherland, China! And the Chinese Trotskyists, how have they acted? That is what you are in a hurry to know, isn’t it? But, beloved comrades, I cannot reply to you till my next letter. Haven’t you recommended that I write short letters? In September 1931, at the time of the Japanese invasion of Manchuria, Japanese Security made contact with the first three. The two parties signed a pact: the Trotskyist group agreed not to advance any propaganda against the Japanese invasion. Japanese Secunty agreed to make over to the Trotskyists a sum of three hundred dollars monthly as well as other supplementary sums, according to the ‘results of the services rendered’. From this moment, Chen Duxiu (Tran Doc Tu) and his accomplices immediately set to work. With the Japanese funds, they published magazines and satirical pamphlets to propagate ideas such as: ‘In occupying Manchuria, the Japanese wanted to rapidly settle the conflict and suspend it, they did not aim to make themselves masters of China’. Scarcely had these ideas been propagated in the columns of their publications than Shanghai was attacked in turn in January 1932 by Japanese troops. At this moment, what do the Trotskyists say? Do they recognise that they were wrong? Do they cease collaborating with the occupier? Absolutely not! While the soldiers of the 19th army spill their blood to defend the Fatherland, the Trotskyists, in acts as in words, continue to commit crime upon crime. On one side, they write: ‘The war for Shanghai doesn’t concern the people at all. It is not a case of a national revolutionary war. It is a case of imperialist war’. On the other side, they spread false rumours, put forward slogans of a defeatist character, gave away defence secrets, etc. But that’s not all. Trotskyists such as Hoa Van Khoi and Cung Van Thu, in secret liaison with the police and the Japanese bosses, infiltrated into the workers’ strike at Shanghai and employed all means to sabotage the movement. To the point where they managed to have the most talented activists in the strike arrested. In 1933, Generalissimo Phung Ngoc Tuong and General Cat Hong Xuong, members of the Communist Party, organised an anti-Japanese resistance force at Kal Gan. At this time, the CCP being underground, liaison between the centre and the North was proving difficult. Profiting by this situation, the Trotskyist Truong Mo Dao, calling himself a ‘representative of the Communist Party’, tried to transform the anti-Japanese war into a civil war with the slogan: ‘March with the Japanese, struggle against Chiang Kai Shek’. In the end, he was unmasked and expelled by General Cat. A short time later, in the course of a journey of the latter to Tientsin, Truong Mo Dao had him assassinated by his followers. In my next letter, I shall tell you how the Trotskyists of China have pursued their activities as traitors to the Fatherland. In my last letters, I told you how the Trotskyists received their salary from the Japanese and how they sought to sabotage our heroic struggle at Shanghai and our patriotic movement at Kal Gan. Today, I will tell you the rest of their crimes. Having fallen back to Fukien, the 19th Army again took up its struggle. It formed an anti-Japanese Government and led the propaganda for the united front thanks to the signing of a pact with the Chinese Red Army. Shortly before this, the 19th army was one of the most anti-communist forces. But confronted by the danger which menaced the Fatherland, it agreed to forget the quarrels and hatred in order to aim at one single end: the struggle against the invaders. Obeying the orders of the Japanese, the Trotskyists immediately went into action: on one side, they fomented regionalist sentiments amongst the population—the 19th army having come from Kwangtung—to combat the new government. On the other side, they sought to enfeeble the Red Army. The way in which they accomplished the second task is the following: among the many revolutionary militants, they applied to join the Red Army. In the beginning, in order to win over confidence, they led very positive actions. Once placed in more or less important posts of responsibility, they began to commit criminal acts. I will cite you some examples: In battle, when it was necessary to retreat, they gave the order to advance. When it was necessary to advance, they gave the order to retreat. They sent reinforcements and arms to places where they were not needed. But where they were needed, they didn’t send them. They painted with poison the wounds of combatants, above all of the cadres of the army, with the aim of making them have their arms and legs etc. amputated. These criminal acts were luckily discovered in time. What luck for the Communists! Since 1935, the Communists have led a campaign of great scope for the formation of a national Front against the Japanese. The people, and particularly the workers and peasants, have actively taken up this programme. In the Kuomintang, the idea of a national Front is making progress. During this time, it has been proved that the Trotskyists are playing a double game, having recourse at the same time to lies and to treachery. They say to the masses: ‘You see, the Communists have sold out to the bourgeoisie. The Kuomintang would not fight against the Japanese!’ Addressing the Kuomintang, they say: ‘The National Front! It’s nothing but a ruse of the Communists. To fight the Japanese you must destroy the Communists’. Towards the end of 1936, the politics of uniting against the Japanese triumphed in the events of Tay An. Faced with the defeat of their politics of civil war, the Trotskyists Truong Mo Dao and Ta Duy Liet decided to organise the assassination of Vuong Di Triet, one of the most convinced followers of the National Front. Now, I am talking to you about 1937, the period that preceded the war. Everyone united to fight the Japanese except the Trotskyists. These traitors met clandestinely and adopted the ‘resolution’ of which here are some extracts: ‘In the war against the Japanese, our position is clear: those who wanted the war and have illusions about the Kuomintang government, those concretely have committed treason. The union between the Communist Party and the Kuomintang is nothing but conscious treason’. And other ignominies of this kind. When the war approaches, the Japanese promises materialise. The Trotskyists of Shanghai receive 100,000 dollars each month for their activities in the centre and south of the country. Those of Tientsin and Peking 50,000 each month for their activities in Hoa Bac, in the north, against the 8th army and against patriotic organisations. Towards the middle of 1937, the Trotskyists were discovered and arrested in the ‘special zone’ (Dac Khu). According to the confession of Ton Ngia Ha, they had settled on these objectives: 1. To destroy the 8th army. 2. To hinder the development of the National Front. 3. To spy 4. To organise the assassination of activists. Before the popular tribunal of the ‘special zone’, the Trotskyist Hoang Phat Hi, amongst other confessions, declared that in the course of the fourth interview with Truong Mo Dao, the latter had given him the following instructions: ‘You must actively study the methods and the system of organisation of the Red Army. After that, you will organise brigades of youth to carry out the tasks of sabotage. Our aim is to provoke disorder within the Red Army and to liquidate its activists’. Truong Mo Dao added: ‘We must persuade a section of the cadres of the base to follow us, raise their nostalgia for their native land, encourage their desertion and furnish them with a little money. That’s one of the means of causing the disintegration of this army’. The Trotskyist Quach Uan Kinh has sworn that Ton Ngia Ha charged him with advancing defeatist propaganda amongst the combatants by demonstrating to them that ‘China cannot win’ for ‘even if we end up driving out the Japanese, the Americans and the English will still be there to oppress us’; that ‘not only can we not win, but our land will be destroyed if we continue the war’; that ‘China is too weak to struggle against Japan, England and America at the same time’. Truong Mo Dao finished his instructions with these words: We must exploit the policies of the National Front to denounce the Communists and say that they have sold out the working class. Our aim is to foment discontent amongst the combatants’. Under the pretext of educating them, the Trotskyists organised the most backward elements of the army in small groups, then, profiting by the harsh conditions of life in the army, they encouraged them to desert with arms and ammunition. In liaison with the bandits, they created disorder behind the lines of the 8th army while it was in full combat. This is the background of the Trotskyists in their struggle against the 8th national revolutionary army. In my next letter, I will talk to you about the ignoble methods that these traitors have employed in attempting to destroy the other anti-Japanese forces. This entry was posted in Armed Struggle, Asia, Capitalism & Bourgeois Liberalism, Capitalist Restoration and Counterrevolution, China, Class Struggle, Communist Party of China, East Asian & South Asian Liberation, Europe, Fascism, Fascist Massacres, German Imperialism, Ho Chi Minh, Imperialism & Colonialism, Imperialist War, Internationalism, Japan, Japanese Imperialism, Marxism-Leninism, Myth-Busting, National Liberation, Reactionary Watch, Revisionism, Social-Fascism, Spain, The Union of Soviet Socialist Republics (U.S.S.R.), Trotskyism, Vietnam. Bookmark the permalink.